How to build a Ethereum mining rig diy tutorial part 4: ethOS installation and configuration! If you are looking out to use ethOS for etherium mining, here are some quick guidelines that will help you to install and configure it, right away. This distro boots and mines without having you to install any new drivers, configure xWindows or even compile some specific software. Provides remote configuration where you can set some core locks, instruct the rig for remote reboots, get pool info, control fans, check mem clocks and toggle around other settings flawlessly. Being extremely lightweight it works with the weakest range of CPU that has been ever made in the last 5 generations. The distro can also work on only 1 GB of ram. The automatic GPU protection ensures that the GPUs will immediately turn off as they reach a temperature threshold. Equipped with the automatically configuration of local stratum proxy. These stratum pools can also be changed during the configuration. Comes with a web panel that provides detailed event reports and rig statistics. Supports the GPUs of AMD, including any GPU of 2GB+ HD and 700 series or any R9 belonging to the 200/300 series. This includes the 390, Fury, Nano and 390X R9s. Ensures consistent DAG file management where the SSD never runs out of space. Can be easily updated to the latest version of ethOS with one command. The IP assignment is ensured via DHCP while the hostname is defined from the mac address. Automatically opens to a terminal window with full focus on the boot. No mouse is required for the job. ethOS is pre-loaded on a SSD of 16 GB. It is also available for digital download and can be bought at gpuShack.com. You need to get started by downloading and installing the HDD Raw Copy Tool. After this, extract the ETHOS 1.0.4 ISO from the archive. Open the raw copy tool in your HDD. Click the continue option after selecting ethos 1.0.4. Select the drive where you want to install ethos and click continue on it. Click the start button and wait for a couple of minutes for successful confirmation. Finally connect your HDD, USB STICK or SDD to continue. Once the rig is powered you will see a lot of texts appearing (image 1,2,3,4), no need to do any action, just and wait until the Green logo shows stats like the GPU and CPU..
After it is booted, you will find that the Ethereum logo and the terminal doesn’t have any rig stats for a couple of seconds. If this lasts for more than 2-3 minutes even after rebooting, reboot it once again. In most of the cases, it would not last for more than 2-3 minutes. However, if that happens in case of you, there is no need to panic as you can solve the issue simply by rebooting. If things seem to go the right way after that, check the top right corner and wait for the system to complete the booting. As soon as everything is completed, the rig will automatically mine and the speed of the GPU fans will automatically increase, producing a little noise. This can be done by typing the command sudo ethos-update && sleep 5 && sudo reboot in the black window. Now hit the enter button and do not interrupt the process of update. c) Then type your preferred password twice and that’s it, we secured the rig. Run the command nano local.conf and the default settings will be listed like in the image below. maxgputemp 85 leave it default for now. This number means that this is the maximum temperature your GPU should reach when the system automatically stops the miner. stratumproxy enabled this is a default command and should not modify it. Using arrows go down to proxywallet and change the address with yours. Save new modifications by pressing CTRL+O then ENTER. CTRL+X to exit local.conf file. In order to get a complete list of commands type helpme in your window. Check your mining progress by using the command show miner. To stop checking this progress, press CNTRL+C. Every ethOS installation rig comes with its own ID. This can either be found at the top of the rig or along the side of the terminal. You can also check this online from your phone by logging in to xxxxxx.ethosdistro.com. The information is automatically sent and stays for one minute. But if you’re looking out to check the fresh stats, type terminal update and everything will be automatically re-added. The miner can be started and stopped by the minestart and minestop. Now that you’re somewhat familiar with the terminal and the commands, give more power to your rig by configuring the overclock feature. Now add the commands globalcore 1150 and globalmem 1500. For the time being, leave the globalfan to 85. Save local.conf settings and exit. Type the command: putconf && ethos-overclock and hit the enter button. Wait for a couple of seconds for the overclock to be applied. Keep your eyes to GPU temperature, If it doesn’t reach more than 85 then you wouldn’t have to toggle anymore. Tweak the globalfan and set the temperature as low as you can. Now go to local.conf and let’s say that you have 3 GPUs only. Now type putconf && ethos-overclock and hit enter. Done. When the terminal window shows up, login with username ethos and your password or default “live”. Now you are done with ethOS software installation and setup. You are all set! Follow these tweaks for quick and easy ethos installation for your Ethereum mining. My rig is currently running with 5 GPUs, waiting for my USB riser to be shipped so i can install the 6th GPU!! Well.. it’s been a lot of fun building my first rig, i hope you enjoyed as much as i did. 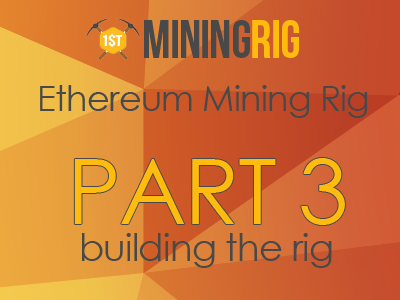 Let’s hope the mining process last a bit more longer so we can take advantage of it and to make some nice ethers. Ill keep this blog updated with all the modifications that my rig will suffer not matter if those are ethOS settings, ethOS update, frame modification/reconstruction etc..
Ethereum Genesis Cloud Mining Is Back!